i Click 'view all' to instantly compare this ok deal with offers on other top makeup bags. 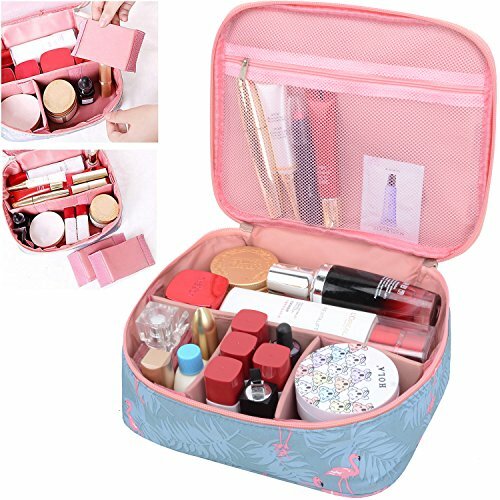 MKPCW Travel Makeup Bag Cosmetic Bag Case Toiletry Bag for Women is currently selling at $11.98, which is its normal price. It has a lowest price of $11.98 and is selling within its usual range. Price volatility is 0.15% (meaning it does not change often), so you might have to wait a while for the price to drop. Until then this is a recommended 'ok deal'. The current deal is also the best price on this item over the last month. 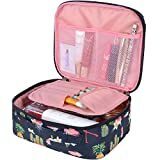 Compare the current price, savings (in dollars & percent) and Buy Ratings for the top Makeup Bags that are closely related to MKPCW Travel Makeup Bag Cosmetic Bag Case Toiletry Bag for Women. 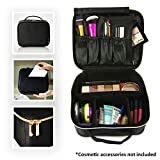 Here is how MKPCW Travel Makeup Bag Cosmetic Bag Case Toiletry Bag for Women compares with other leading Makeup Bags. The portable travel makeup bag is made of High quality zipper and High quality fabrics fabric. Prossessing functions such as waterproof, shake proof, anti-wear and extrusion prevention. High quality material to ensure service life .The travel makeup case can easily hold your facial cleanser, foundations, and other makeup products. When opened the cosmetic bag it expands to reveal three compartment(You can re-design your own compartment). When closed, the case measures 9 by 7.5 by 3.35 inches. FeaturesNOVEL DESIGN: The portable travel makeup bag,Design yourself internal compartments by the adjustable padded dividers,You can adjust the space layout.CHARACTERISTIC: Water proof, shake proof, anti-wear , spill-proof interiors and Easy to carryDURABLE MATERIAL: Made from oxford fabric, sponge, magic stickEXCELLENT PROTECTION: In the process of travel, keep cosmetics inside not messy.